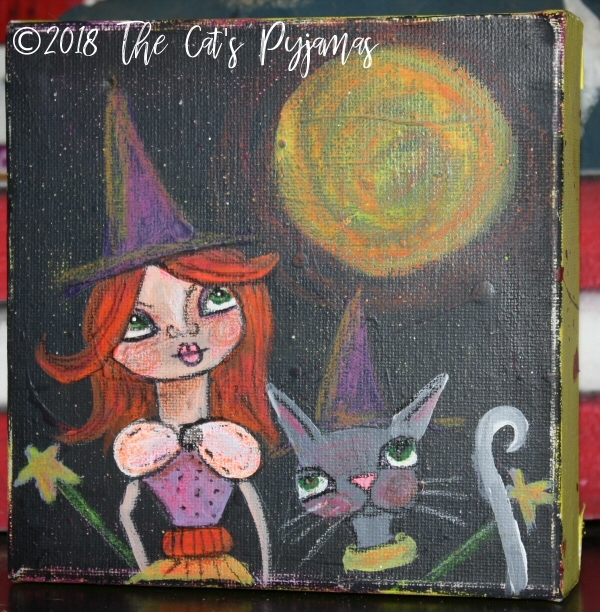 Painted on a piece of recycled wood with a bright green background, purple sides, Skinny Cat is painted with acrylic paints and measures just under 10" x 3.5". My version of Frankenstein's bride! 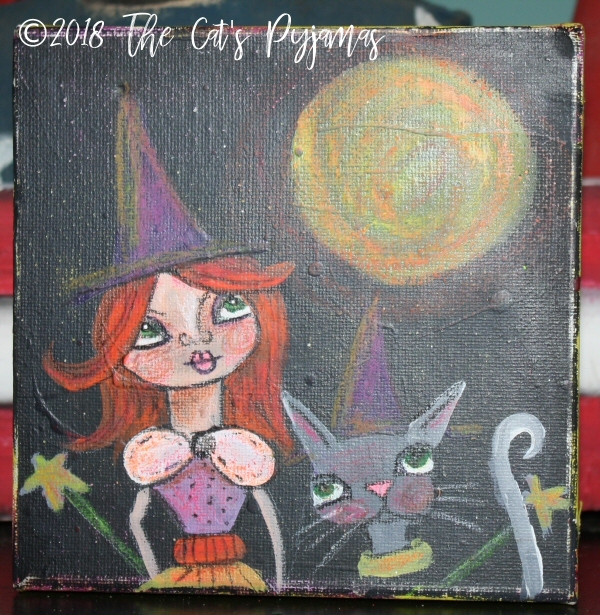 She's painted on a piece of upcycled plywood with a hanger on the back using a combination or acrylic paints, watercolors, oil pastels and colored pencil and I used lots of bright colors. 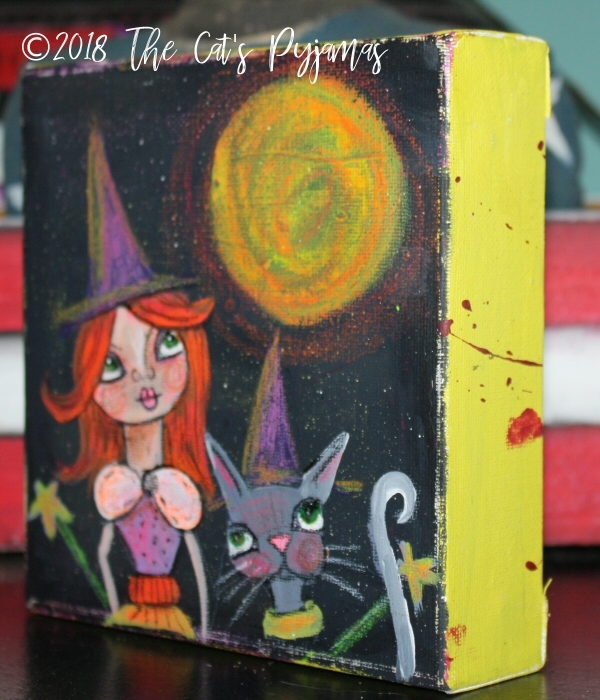 Crazy odd eyed cat painted on a piece of salvaged wood. I painted this piece for Valentines Day because sometimes you just love somebody THAT MUCH! I used a combination or acrylic paints, watercolors, oil pastels and colored pencil and I used lots of bright colors. Bella & Donna HOPE you don't separate them, but if you must, you can buy just one. (Notice Bella has a pink skirt and Donna has a darker purplish skirt.) They are painted on textured backgrounds using a combination or acrylic paints, watercolors, oil pastels and colored pencil and I used lots of bright colors. 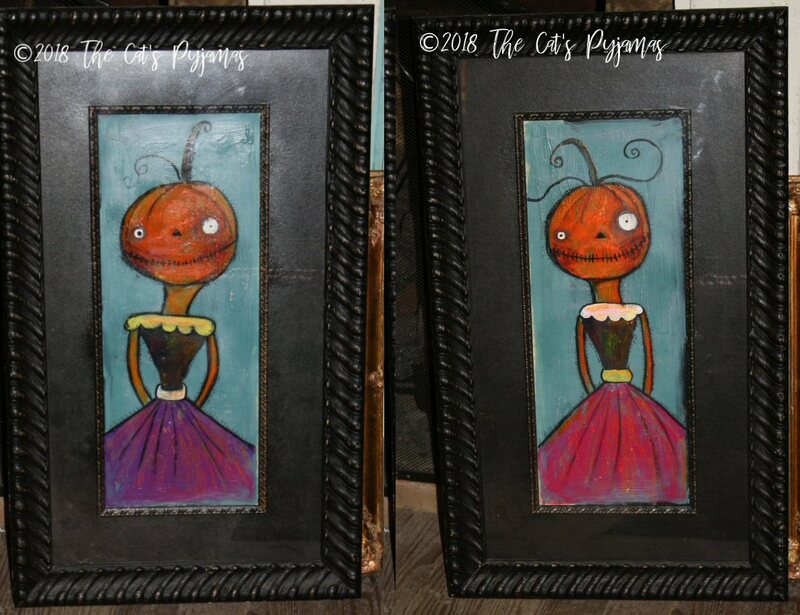 Bella & Donna are both framed in upcycled frames. They're heavy and big, so there may be extra shipping costs. Message me to find out actual shipping. Violet & her kitty, Veronica! These two aren't afraid to out late, even with a full moon! Violet has b right red hair, purple dress and matching hat. Veronica is wearing a pretty green collar and purple hat and they both brought along their wands! They're painted on a wrapped canvas that is extra deep using a combination or acrylic paints, watercolors, oil pastels and colored pencil and I used lots of bright colors.